Fiction • Mountford recasts coming-of-age tale without short-selling world of finance. Peter Mountford's novel begins when its antihero Gabriel de Boya wakes up amid the cacophony of a Bolivian city. The plot gathers critical mass when he attempts to steal the details of a financial report from a sexed-up American business reporter. And then things grow more tense as he enters the amoral world of global financial trading. 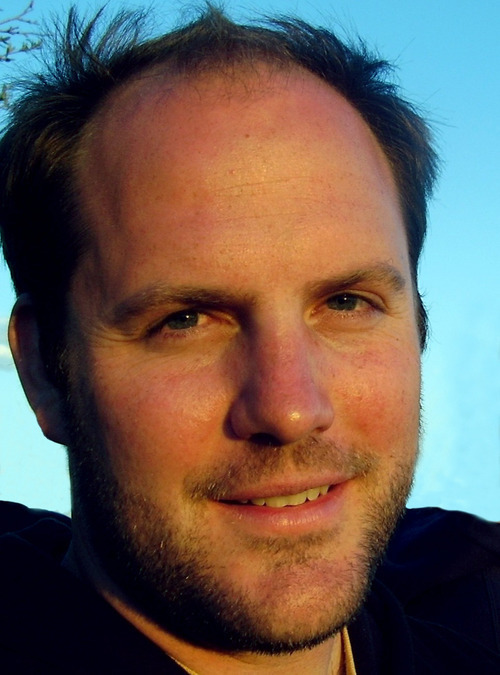 For Mountford, as for most novelists, the story began far earlier. Just out of school, he worked in Ecuador writing for a nonprofit think thank. What he was doing, in fact, was helping feed economic and policy information to a hedge fund. The tension, ethical dilemmas and not-so-blind ambition of global finance inform almost every page of A Young Man's Guide to Late Capitalism. Mountford's debut novel garnered lavish praise from seasoned veterans of the form, including Charles Johnson, David Shields and Bob Shacochis. And in Mountford's case, the financial crisis of 2008 that led to a crash course in financial and economic education for Americans was a big, fat plus. "I had this strange experience of no longer having to explain so many things to readers," Mountford said, taking his interview from his Seattle home. "I could cut out a lot of boring expository stuff because it was right there in the news. History intervened on my behalf." Other than the experience of world travel and living in Latin America, how much do you share with your book's central character, Gabriel de Boya? For a while there in my 20s I had his outlook. I was middle-class, educated and ambitious. I was full of the sense that you want to do something impressive with your life. But when you don't quite know how to do that, you face the terror of ending up doing something meaningless. I'm not the only person who identifies with that. You've stated that, while living in Ecuador, you "saw how inextricably wed finance is to history, and to the lives of everyday people." Is this a concept you feel escapes most Americans? It doesn't escape most of us anymore. But for some reason finance hasn't had much of a role in contemporary fiction. People are intimidated by what they don't understand. Then there's the belief among most writers that money just isn't that interesting. Finally, the desire for money is seen as low, or base even, for a character to have  even if it's ubiquitous in the real world. Is it the age-old case of truth being stranger than fiction that we leave finance to nonfiction writers like Michael Lewis [The Big Short]? Definitely. When you read the story of [Bernie] Madoff's son committing suicide, it shows you how emotionally intense this stuff can be. He was alone in the apartment with his baby son sleeping in the next room. He tried to hang himself repeatedly until he found a dog leash, the only thing strong enough to not break. It reads almost like black comedy until you realize how horrific it is. When you travel to Bolivia, you realize the same. It's full of these stories that are strange, but true, and just remarkable pieces of history. What novels about business or commerce did you draw upon as models? I'm a huge fan of Bleak House. Then there's Jess Walter's The Financial Lives of Poets. Books such as [Bret Easton Ellis'] American Psycho or even [Tom Wolfe's] Bonfire of the Vanities have a tendency to make businesspeople out to be really terrible, or even monsters. They're blond, blue-eyed, cold-hearted preppies  which is terribly cliché. The hedge-fund trader in the book is an Indian woman. But when you investigate the world of finance, you find it's full of complicated people just like everywhere else. I wanted to get at that side with this story. There's certainly reason to feel deeply suspicious of these companies. There's a lot of crime that occurs. They make money for themselves and their clients, but they add very little to society. What was the most difficult element of constructing a morality tale around something as complicated as finance? Your story's gotta have velocity. It was also intellectually difficult to keep track of all the moving parts so that it made sense. Near the middle of writing the book, I stopped for a week just to comprehend all the plot elements to make sure they would stick together. Has anyone in the world of global finance given the book negative feedback? Not really. But one critic seemed miffed at my portrayal of a hedge-fund manager as being a little less than noble. I don't think he had much of a leg to stand on. 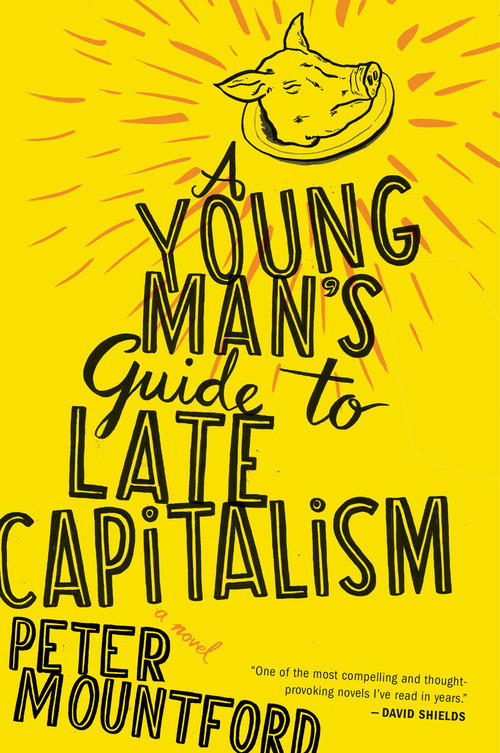 The author of the new novel "A Young Man's Guide to Late Capitalism" will promote his book. When • Thursday, June 16, 7 p.m.
Info • Free. Call 801-484-9100 or visit http://www.kingsenglish.com for more information.